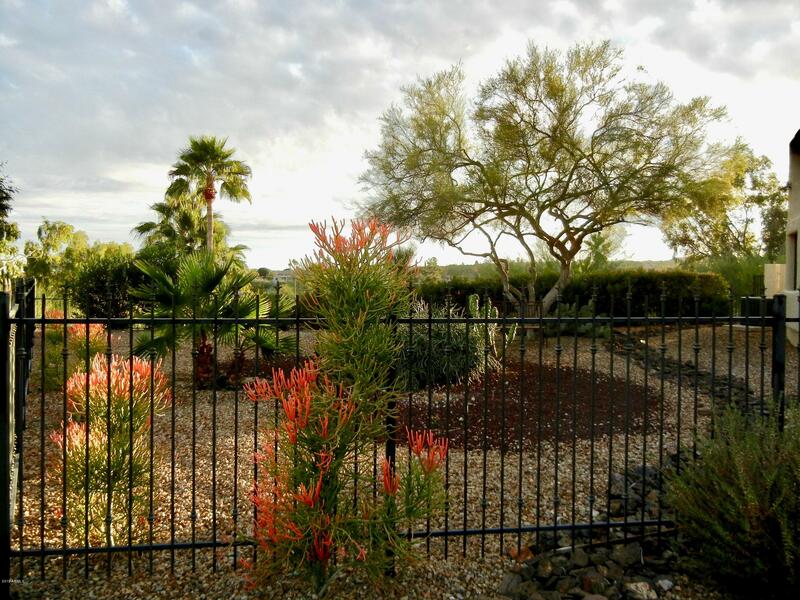 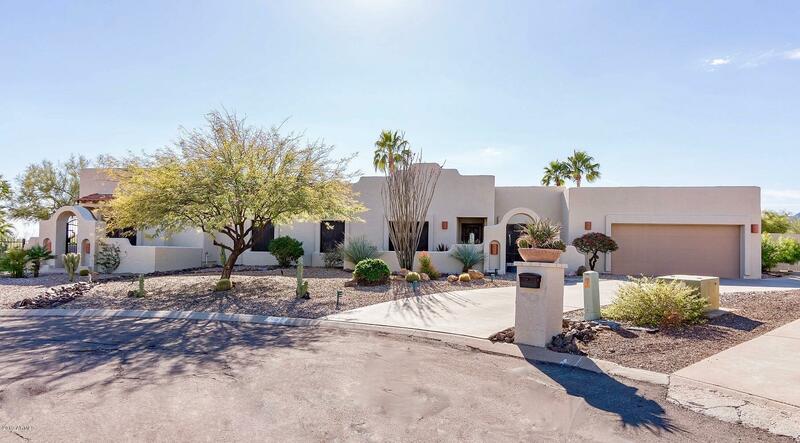 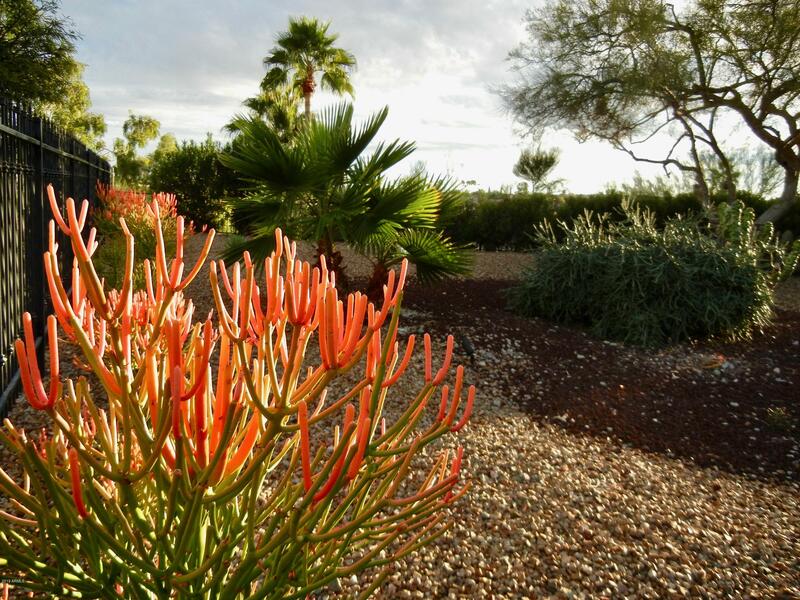 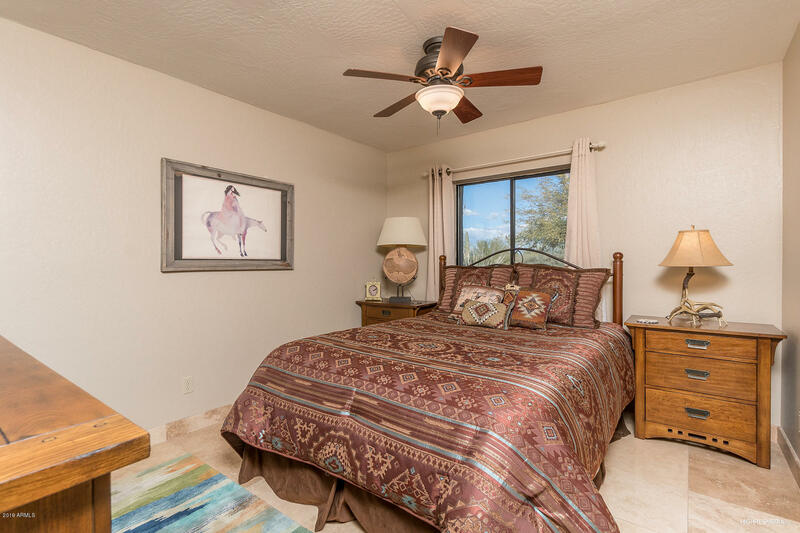 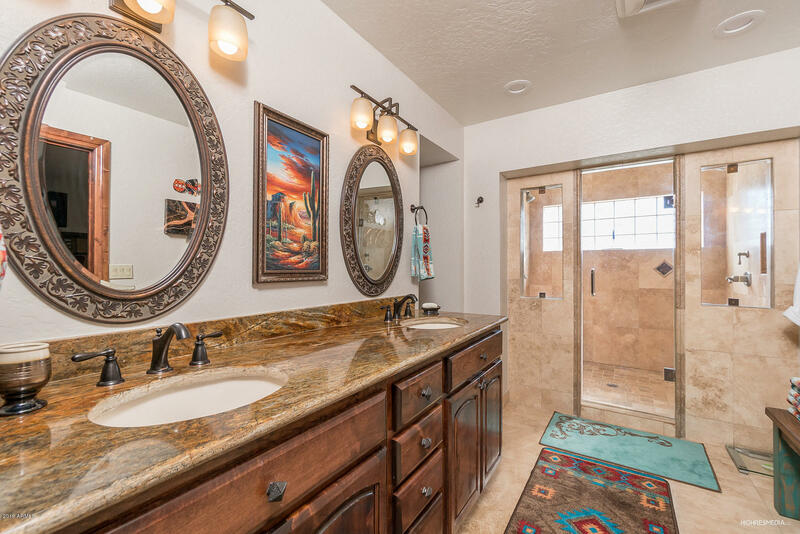 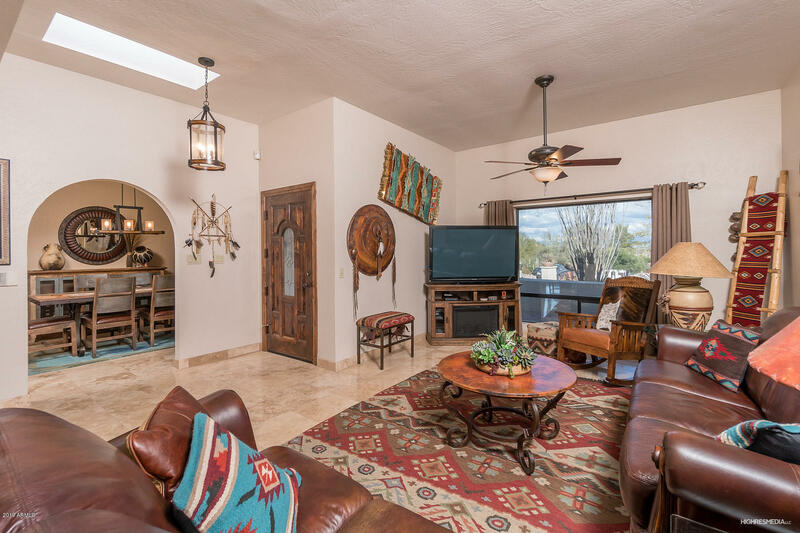 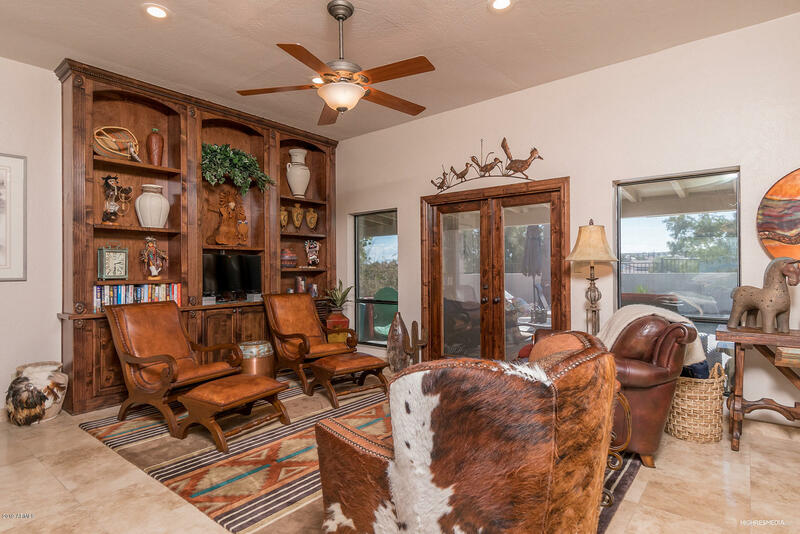 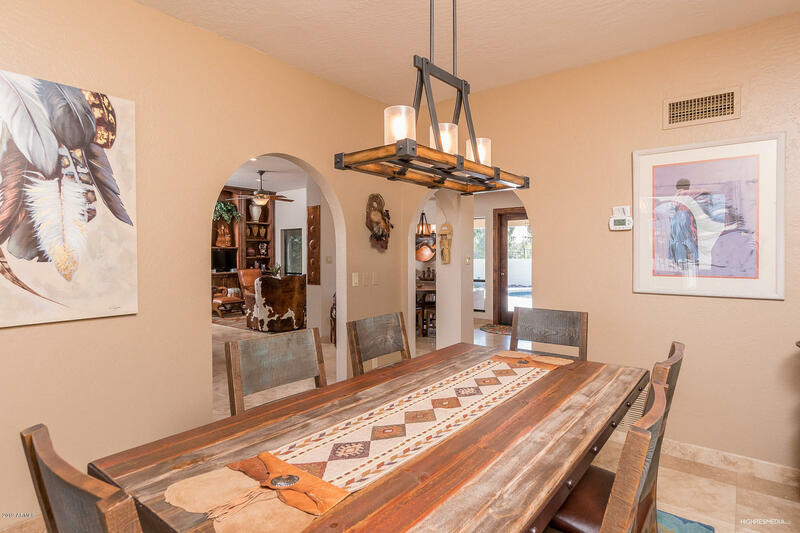 Handsomely upgraded single-level home (no interior steps) on half-acre, cul-de-sac lot with picturesque Red Mountain, McDowell and Four Peaks views yet COMPLETELY PRIVATE and NO HOA. 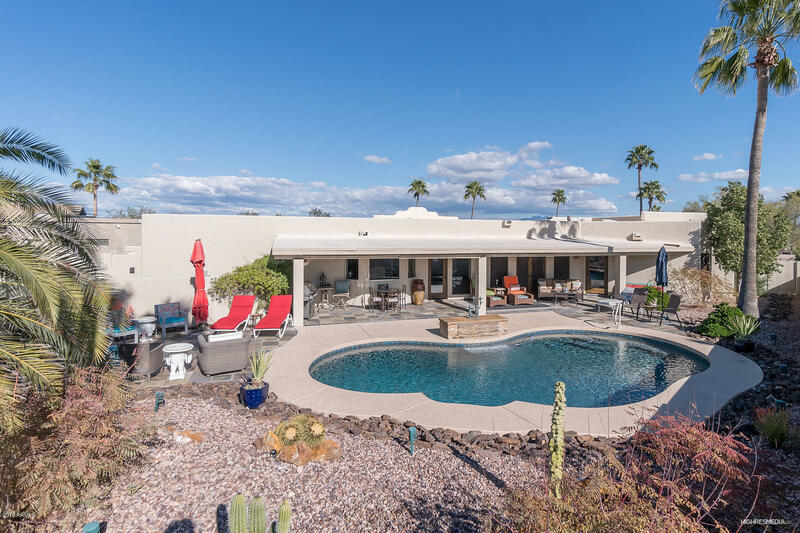 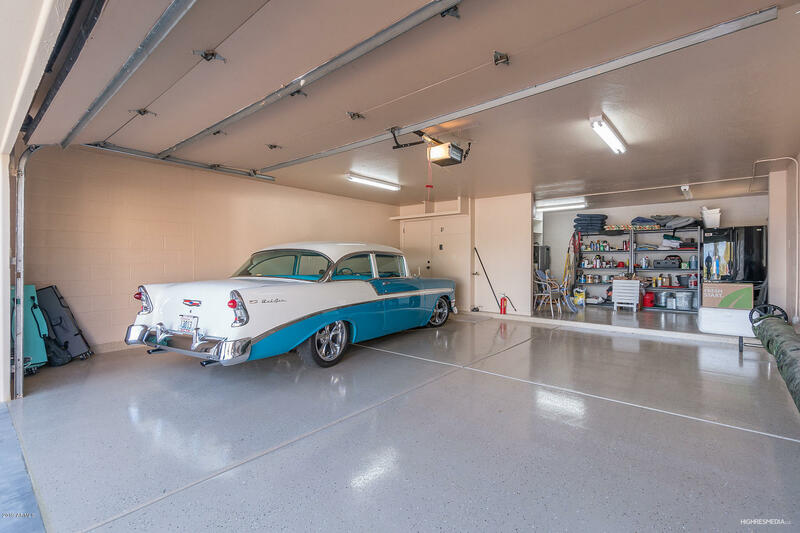 This home has the latest, high-end appliances and modern conveniences and electronics including 2 new Trane(r) AC systems (SEER 17 & 14), KitchenAid(r) appliances, foam roof - too many to list here - see attached Documents tab on this listing. 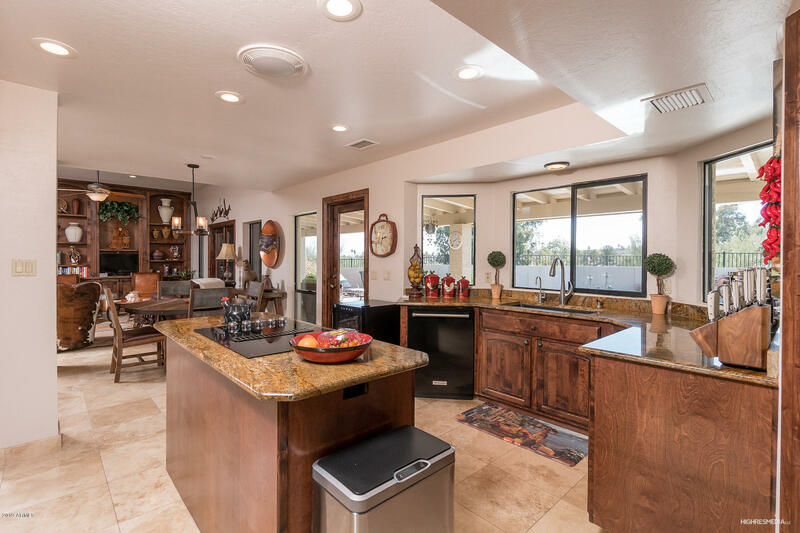 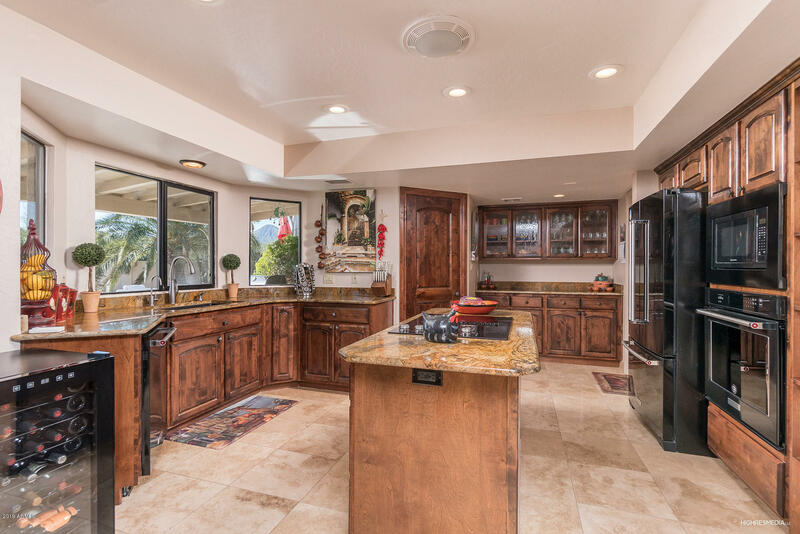 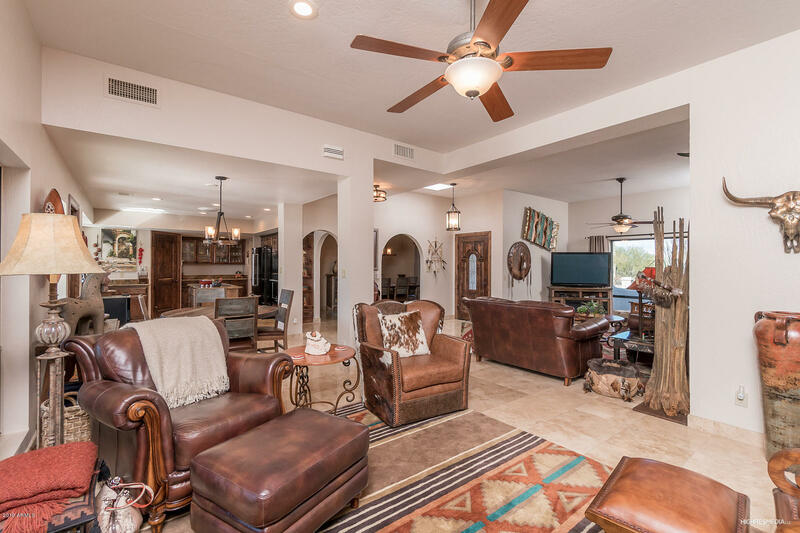 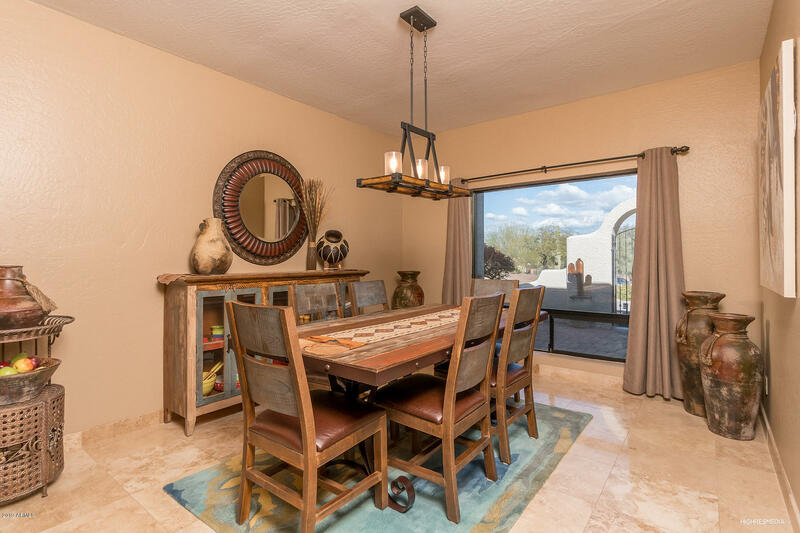 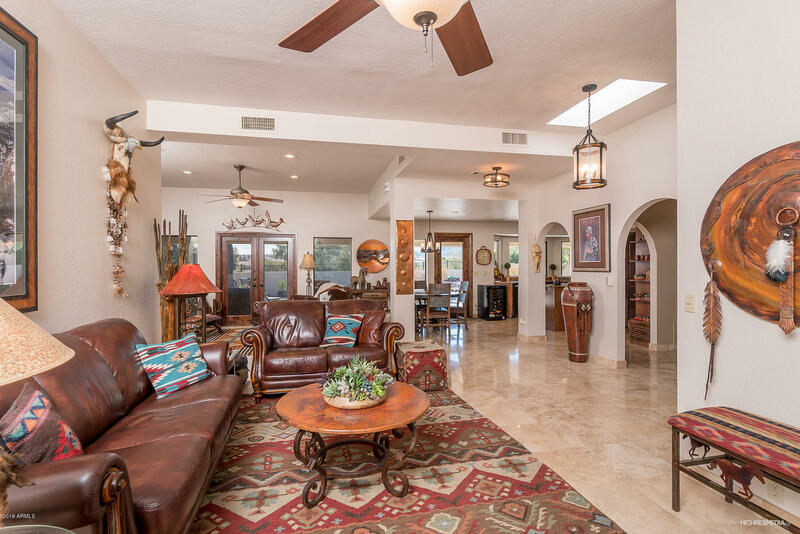 Its impressive Spanish architecture invites you though the tranquil courtyard that leads into the enchanting open-concept living space to the stylish kitchen with knotty alder cabinetry, granite countertops, walk-in pantry and breakfast area. 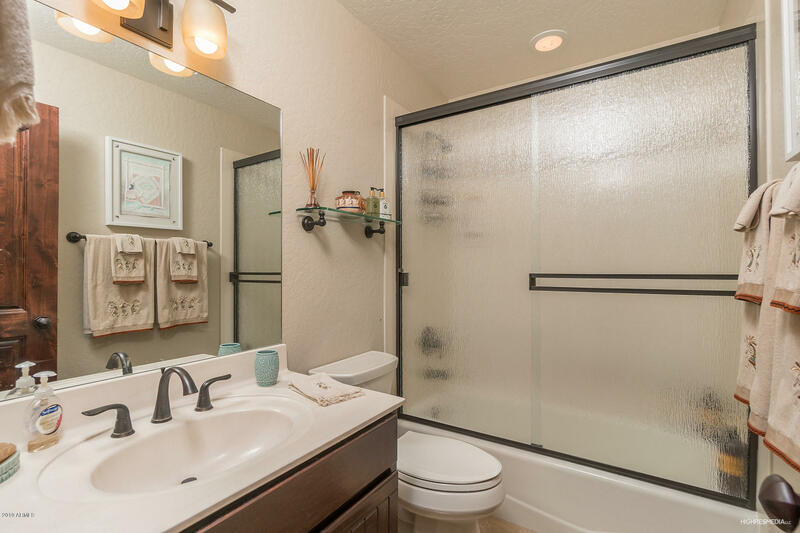 Spacious Master with spa-like bathroom has alder cabinetry, separate sinks and double shower. 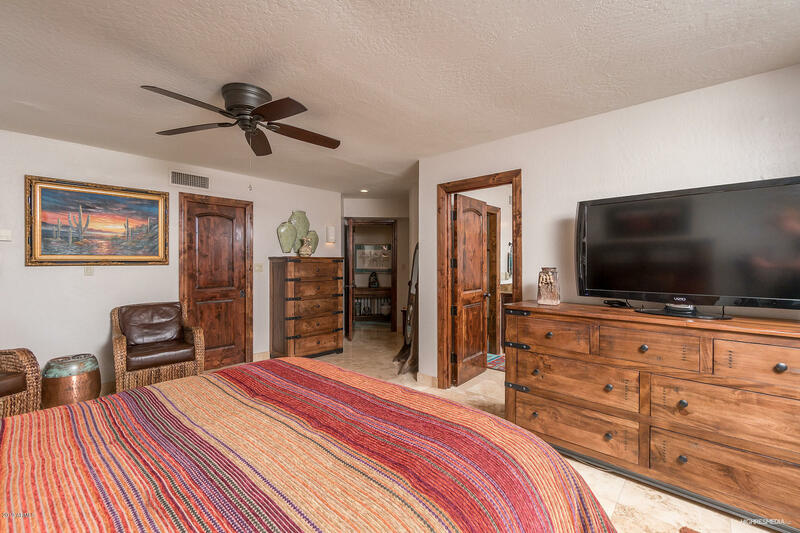 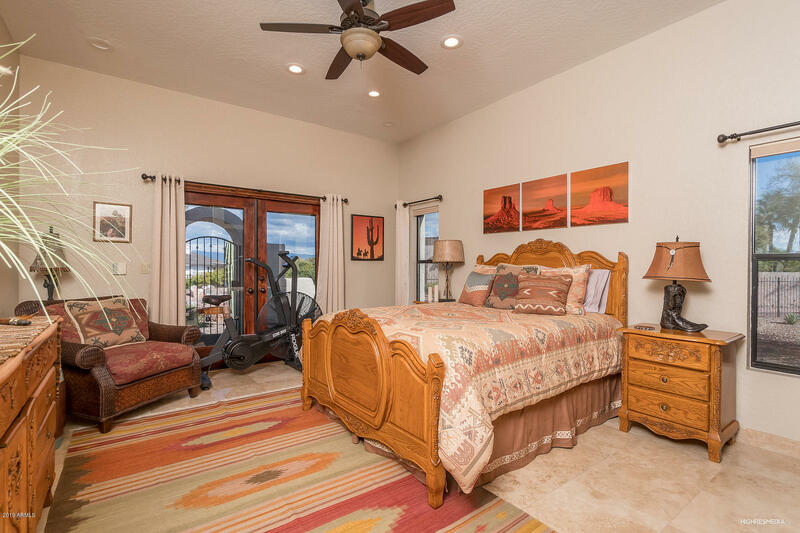 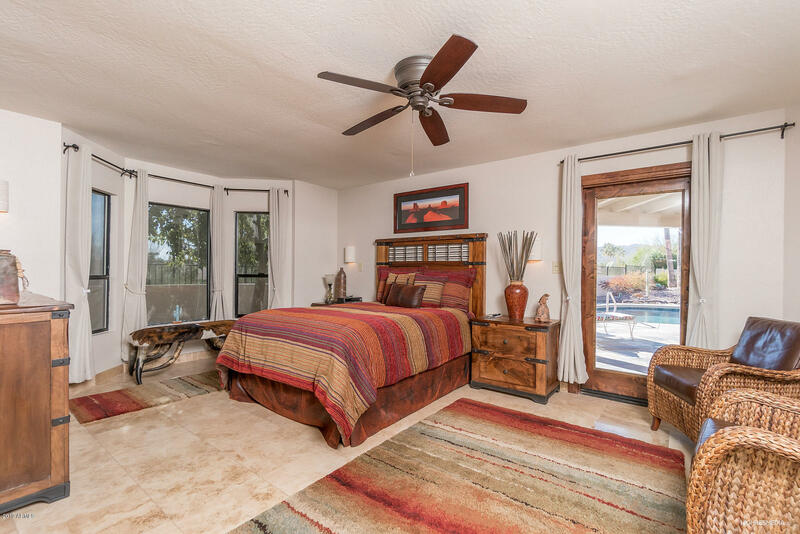 Both Master and Guest Room have separate entrances. 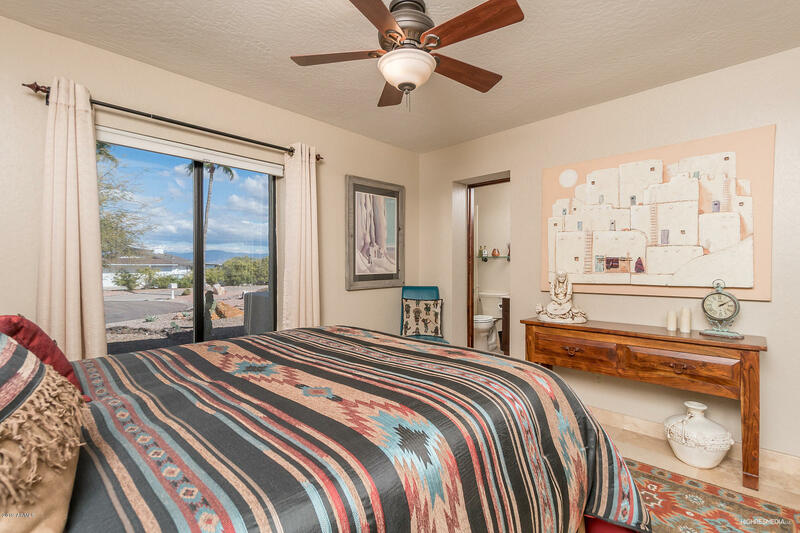 Bedroom 2 is en-suite. 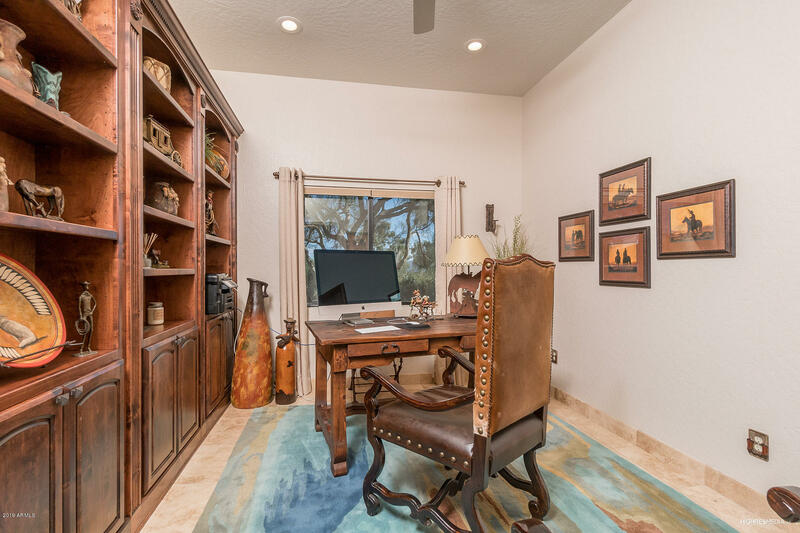 Comfortable office features handsome built-in bookcases. 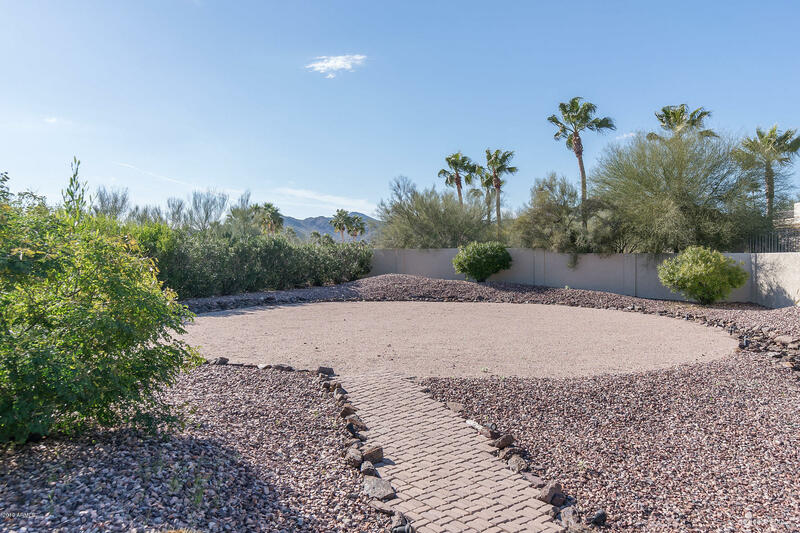 But the best is yet to come: The resort-like backyard features views, shimmering, pebble-surfaced saltwater pool and striking water feature. 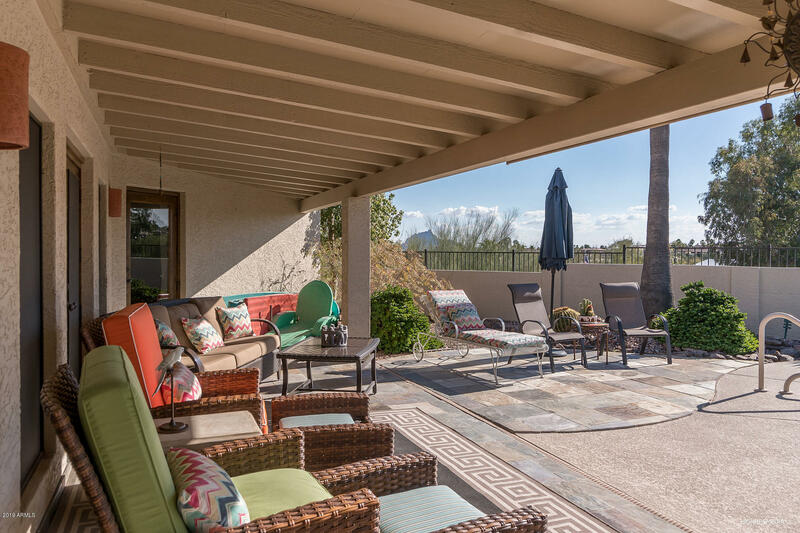 Spend relaxing hours here or in one of the peaceful side yards. 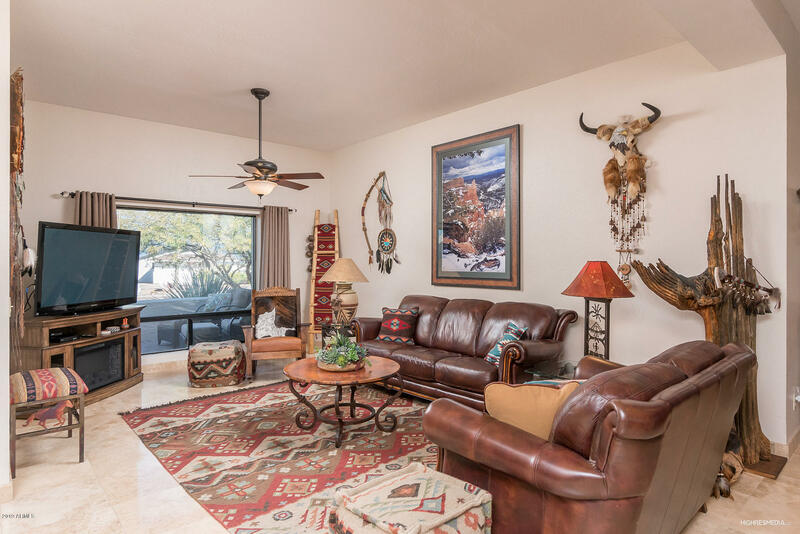 Then discover an unexpected treat on the other side: A versatile activity space for sports, golf green, fire pit, meditation or even RV parking -- you name it. 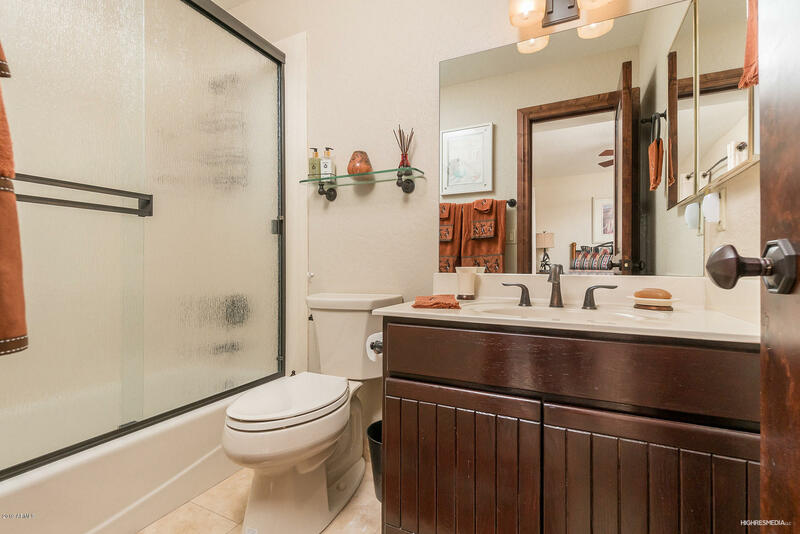 This is as MUST SEE.